This cache is NOT a micro in the woods. This cache is NOT a trick container. This cache is NOT "Real Hard To Find". This cache IS all about an awsum hike through the wilderness area of Tomlinson Run Park that shows why West Virginia is called "Wild and Wonderful". I made it a multi so that you would have to take the lower Laurel Trail to get to the first stage. Stage 1 is at the above posted coordinates. You might have a reception problem in this valley, but the first stage is very obvious. Look for the tree on the left side of the trail with JR carved on it about eyeball high. This will give you the coordinates for the final which is under the left side of the left boulder. Also on the lower trail you will pass a cut sandstone wall that was an approach to the covered bridge that spanned the creek. This is a great place to stop and take a break. Be sure to look for fish in the creek. I have seen many of them at this spot. BTW, if you are into wilderness fishing, be sure to bring your pole. There are lots of prime fishing holes along your hike. After finding the "treasure", you can take the Upper Laurel Trail on the way back to your vehicle as it a bit shorter and there is an old house foundation and well at N 40 32.772 W 080 36.060 that you might want to check out. I suggest you take a trail map with you as you might be doing some unneccesary bushwacking without it. The map can be found at the Superintendent's office or at the campgrounds. When you get to the intersection of the Upper and Lower Laurel Trails, turn left and you will be on the White Oak Trail. You are now on the New Manchester Turnpike. At one time this was the major highway that lead all the way to the Ohio River. There is a great photo op along the way. It is a cut sandstone wall that held up the highway over 150 years ago. Follow this trail all the way till it comes to another run. It will now be an easy stream crossing and a .15 mile bushwack to the rock. 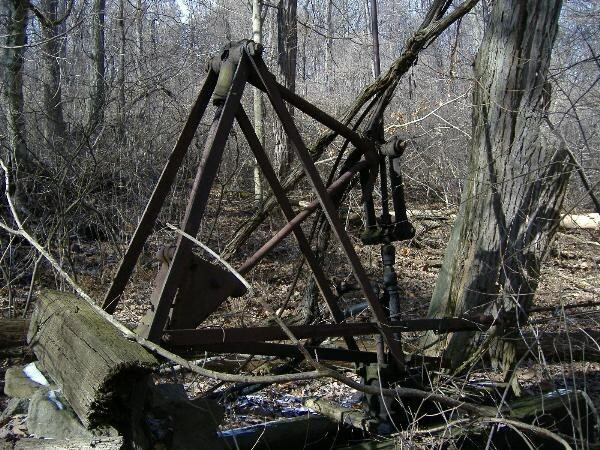 If you find an old belt driven oil well, you are almost there. About another 200 feet up the hill. The cache is a .30 ammo can. It is tucked underneath the huge boulder making up the left side of this frontier post office. I sure don't want anyone to hike all the way back there and have a DNF, so I made it an easy find on purpose. Also bring plenty of Hydration. 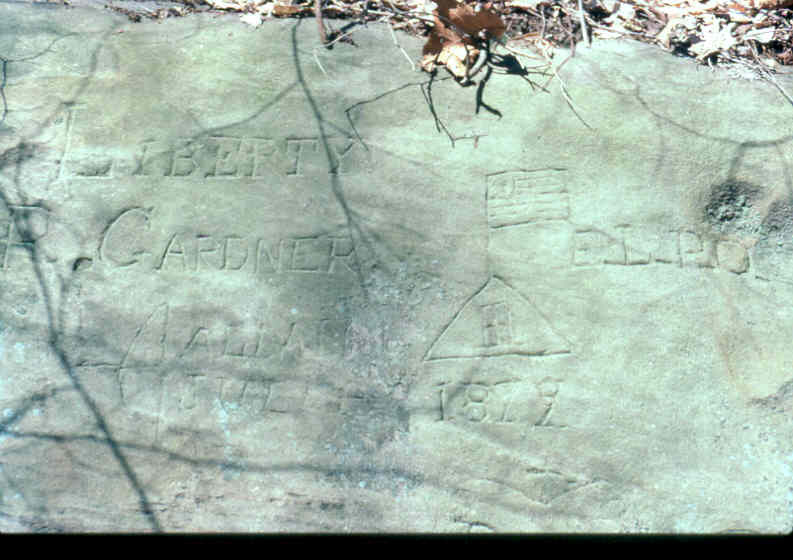 The ELPO Rock is dated 1879 and has several names carved in it, as well as a picture of an American Flag flying proudly on the roof. What is EL.P. O.? All the mail north of New Manchester was routed through East Liverpool Post Office. I believe this rock must have been the drop off point here in northern WV. Don't forget to check out my "Hartford's Grist Mill" cache. You might want to do it on the same trip when you do this one. This will be about a 3 mile hike. Don't forget your camera. I need to thank Craig Heaton for the information about this rock. Without his help, this cache would not have been possible. Fgntr 1: Pnoyrq ng gur onfr bs WE gerr. Svany: Ghpxrq haqre gur ovt hcuvyy obhyqre ba gur yrsg fvqr oruvaq fbzr fznyy ebpxf. E. L. PO. ROCKThe 1879 ELPO Rock.